This is Part 6 of “Let’s Discover Your Author Brand” using Emlyn Chand’s and Robb Grindstaff’s book Discover Your Brand: A Do-it-Yourself Branding Workbook for Authors. I’ll refer to the book from now on as “Discover Your Brand”. For those interested here are Part 1, Part 2, Part 3, Part 4 and Part 5. In Part 5, we looked at chapter 5, which was concerned with how to flesh out or expand our vision of our target reader. I was a bit disappointed with this chapter but felt is still had value. 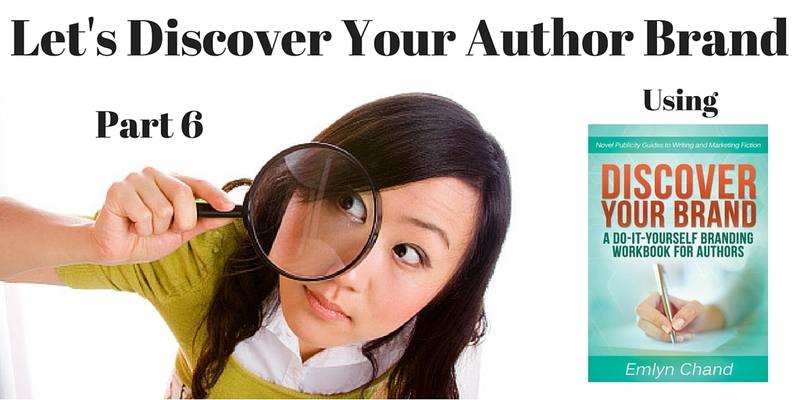 In this post I work through Chapter 6, which is entitled “Finding your Genre”. As with chapter 5, I was disappointed with this chapter as well. Read on to find out why. Chapter 6 uses a “find your own adventure” approach to determine your genre. It asks a series of questions and, based on your answers, provides a suggested genre. This sounds like a great idea. However, there are practical difficulties with it. Each question leads to further questions — of course — so the total number of questions, and outcomes, grows very quickly (the answers are links to the next question). Practically, this means the analysis is quite brief, usually three or four.questions, before a conclusion is reached. Frankly, I doubt whether some genres can be determined with so few questions. I don’t entirely fault the authors for this. Coming up with enough questions for a seven or eight question analysis (for example), would be a huge task. If you’ve ever built branching scenarios for eLearning (and, really, who hasn’t done that? :)), you’ll understand the difficulties. Nonetheless, it’s still worth going through the exercise, if only to get you thinking about what further questions you need to ask yourself when determining genre. Discover Your Brand concedes you may already have an idea of your genre, but rightly points out that many authors actually get it wrong. These authors write a book for a genre and market it to a entirely different one, with understandably poor results. If more than one is important to you, you can do the exercise multiple times, which may result in your novel falling into multiple genres. I did this several times with mixed results. The first time I started off by selecting “the actual plot or story within my novel” question. Clicking the link led me to two problems. First, instead of one question to answer I was presented with four. Which one was I supposed to answer? It’s not clear and the book’s instructions on how to carry out the exercise are vague. Because each answer is a link, selecting any answer takes you to the next questions set, leaving behind the ones you elected not to answer. Second, some of the answers seem not that different from one another. For example, I decided to answer the question “What about your writing excites readers most?”. They want to know if the characters will accomplish their missions before it is too late. They enjoy the nonstop action and larger-than-life situations the characters find themselves in. They enjoy falling in love (or finding sexual gratifications) along side the characters. Really? Two questions was all it took to determine that? I went through the exercise two more times and discovered my genre was also “Fantasy” and “Thriller”. Each time I encountered answers that were either similar in meaning or vaguely worded. The exercise could benefit from a careful edit and re-think of the questions and answers, along with more explicit instructions on how to carry it out. Finally, it seems the authors did not anticipate that Discover Your Brand might be read on a mobile device (I was using a tablet). Because the answers are single-spaced, you need to be very careful to ensure you tap the answer you want, particularly on the one-line answers. At the end of the chapter is a brief discussion of your results. The discussion points out that each genre has numerous sub-genres, and provides a good idea in searching the Amazon Kindle ebook page for a list of genres and sub-genres (at least the ones Amazon recognizes). There is also a link to the Discover Your Brand “extras” page where there is a list of words readers associate with each genre. Unfortunately I couldn’t get past the captcha page when using my tablet. As I said earlier, this chapter was a disappointment. There’s great idea here for discovering your genre, but the chapter seems like it was quickly slapped together. The discovery exercise needs clearer instructions, as well as more and better descriptive answers. There is some value here, in that it will at least get you thinking about genre if you truly do not have any idea what your novel genre is, but the chapter could have been so much better. As always, you mileage may vary.